Job Objective: To develop, install, monitor, maintain and troubleshoot various network applications (i.e. Microsoft Exchange, Lawson) and related software and hardware to meet information technology needs, including internal network access and Internet access, for City of Little Rock Departments; to coordinate the design of network applications with application vendors. 1. Develops, installs, monitors, maintains and troubleshoots various network applications (i.e. Microsoft Exchange, Lawson) and related software and hardware to meet information technology needs, including network access and Internet access, for City of Little Rock Departments; coordinates the design of network applications with application vendors. 2. Monitors and troubleshoots the network to ensure correct Internet Protocol (IP) addressing and Transmission Control Protocol (TCP)/IP, and other Networking Protocol. 3. Develops, installs, and maintains servers, such as DNS, DHCP, Lawson, Domain Control and Print to ensure that patches and imaging updates are completed in compliance with Departmental standards, policies and procedures; ensures the maintenance, set-up and configuration of SSL certificates; coordinates with application vendors for system upgrades and other related activities. 4. Develops, installs, and maintains server and firewall security to control system access for various network software programs to include DNS, DHCP, ERP, Domain Control, Print and other network servers. 5. Coordinates with Network Engineer to develop, design, install, configure and maintain networked hardware such as routers, hubs, switches, modems, and gateways to ensure maximum utilization of hardware capabilities. 6. Coordinates with Database Administrator to configure and maintain clustered servers running the City of Little Rock's datacenter, for specific programs to include Microsoft SQL and Microsoft Exchange. 7. Monitors network functioning to identify performance problems; troubleshoots network problems and outages; develops and implements system changes or configuration modifications to resolve performance problems and increase efficiency of the system. 8. Answers questions and provides technical assistance to City departments in the review, purchase, set up and maintenance of local area and wide area networks, network hardware and software to ensure that all equipment and software is in compliance to the City's networking standards. 9. Develops and maintains systems networking addressing schemes required for effective connectivity and security, including Internet Protocol (IP) addressing, E-mail routing, servers, domain, and work station identification; establishes and maintains documentation for the systems addressing process. 10. Develops and maintains full computer network documentation including network diagrams with detail describing functionality of all network components and inter-relationships as well as computer networking standards and procedures. 11. Prepares regular activity reports for the Network Security Manager regarding network implementation activities, utilization and resolution of system issues. 12. Consults with vendors and software publishers, reviews literature and technical documents, and conducts research to obtain information for solving problems and investigating purchase options. 13. Installs, updates and maintains systems and applications specific to various Departments within the City of Little Rock. 15. Provides training for City personnel on the proper use of network workstations, hardware, system and application software and personal computers including system and network capabilities. 16. Serves as project leader for with IT Departmental staff members and other City personnel relating to the maintenance of local area and wide area networks as assigned. 17. Operates a City pool automobile in the performance of essential job functions. Minimum Qualifications and Additional Requirements: These knowledge, skills, and abilities are usually, although not always, acquired through completion of an Associate's degree in Computer Science or a related area, four (4) years of experience in the development and implementation of computer applied networked application systems, two (2) years of experience in IP addressing, TCP/IP, and Windows OS on work stations and servers, two (2) years of experience installing and configuring routers, and one (1) year of leadership experience. Equivalent combinations of education and experience will be considered. 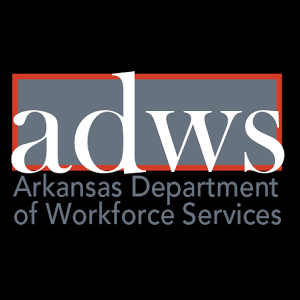 •	Must possess a valid Arkansas Class D (Non-Commercial Vehicle) Driver's License before employment and maintain licensure for the duration of employment in this position. •	Must be available to work nights, holidays, and weekends and respond to emergency calls as required. Secondary Duties: Performs other related duties as required. •	Knowledge of computer network system design and development methods and techniques. •	Knowledge of computer network system protocols. •	Knowledge of computer logic, block diagramming, and flow charting. •	Knowledge of capabilities, utilization, and limitations of data processing equipment.